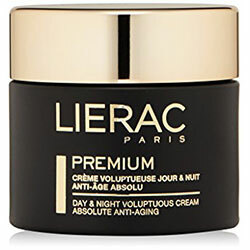 Lierac Paris Premium Cream Review 2018: Ingredients, Side Effects, Detailed Review And More. What is Lierac Premium Cream? Smoothen fine lines and fade wrinkles. Tighten your pores to leave your skin surface with a soft, velvety feel. Lighten age spots, dark spots and other hyper pigmentation issues. Brighten your overall skin tone to give you a fairer, naturally glowing skin. Enhance your skin elasticity which firms up and stretches your skin. Lierac Premium Cream – Does it Really Work? This anti-aging cream floods your skin with a significant volume of moisture that instantly plumps your skin and leaves it in a better hydrated condition for a longer period of time. The formula is infused with ingredients that strengthen skin fibers that prevent skin from breaking down too soon. Pure Hyaluronic Acid Complex: It delivers a significant amount of hydration to your skin that causes it to become fuller and plumper. Simultaneously, this complex improves your skin’s ability to better absorb and hold in moisture. Black Orchid Extract: It delivers a powerful antioxidant protection that slows down the rate of aging by protecting skin cells and skin fibers from becoming degraded too soon or, damaged by free radicals. Black Baccarat Rose Extract: It soothes and calms your skin and enhances your overall skin tone. Black Poppy Extract: It enhances your skin health while also delivering a protective antioxidant function. This product is highly recommended for twice daily application, that is, once in the morning and once again at night. Always apply product only on freshly cleansed skin. 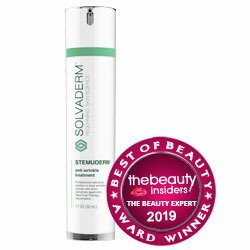 The manufacturer recommends this cream to be used with Premium Regenerating Serum / Sumptuous Oil. This product is loaded with moisture enhancing ingredients. The formula is easily absorbed by your skin. This product dries down to a matte finish. Promotional offers are made available online, although these special discounted rates are available only in Canada. This product is relatively more expensive than its competitors that promise to deliver, more or less, the same results. The formula is packaged in a jar which does little to protect the active ingredients in this anti aging cream from breaking down. This product contains ingredients that may be irritating which makes this cream not suitable for use by people with more sensitive and reactive skin. Very little information has been shared by the manufacturer about this product. Does Lierac Premium Cream Have Any Side-Effects? The manufacturer does not disclose any potential side effects arising due to product use. Although, products like this may cause skin irritations and allergic reactions, most especially if you have a history. In case you experience any unusual skin irritation, immediately discontinue product use. Lierac Premium Cream may well be formulated to transform your aging skin. These products, however, usually deliver results that vary across users. How your skin responds to these products determines how you will experience this cream. Still, knowing your options broadens your horizon so study the products well so you know exactly what you’re getting and what you might be missing. Consider your skin type, age and skin requirements to improve your results. What is the Price of Lierac Premium Cream? One 1.7 fl. oz. jar costs $145. Where to buy Lierac Premium Cream? This product can be purchased from the official brand website and from major reseller sites. Does the Lierac Premium Cream come with money back guarantee? There is no mention of such a coverage anywhere on the official product website. Is Lierac Premium Cream approved by the FDA? Products such as this are not require to submit to an FDA review for efficacy and safety. This product does not require an FDA approval before public distribution. Who Should Use Lierac Premium Cream? This anti-aging formula is intended for use of adult women and men who seek to reverse multiple signs of skin aging and to restore their more youthful skin. Should I use the Lierac Premium Cream once or twice daily? This product is recommended for once up to twice daily application. How long does one bottle of Lierac Premium Cream last? This product lasts for approximately a month, depending on the application area and the application technique used. How long will results last? Results last only while you keep using this product. When discontinued, your skin returns back to its original health condition and appearance. Can I use the Lierac Premium Cream with makeup? Yes, although you must take care how much product gets onto your skin because this has a thick and velvety consistency that may make your makeup slip.